A person sitting quietly and contentedly, with their hands folded in their lap. Here, Sylvester is in reflective mood, and expresses the contentment that can come from sitting quietly in peace, without interruption. 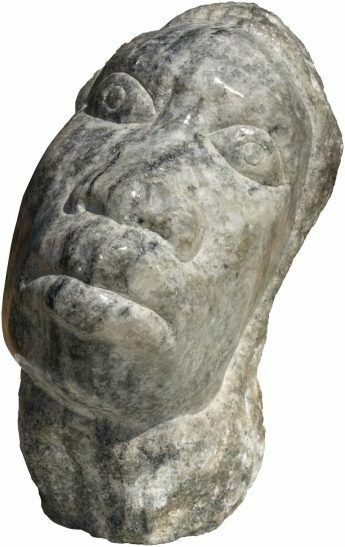 As an elder of his community, Sylvester is often called upon to give advice to younger people and to settle disputes with the wisdom of experience. Clearly, he values the time when he’s left in peace to enjoy just being still and quiet. Implicit in the title, as well, is the artist’s gratitude for continuing good health in his later years. Sylvester has had some health issues over the last decade, and he is not a young man any more, so when the physical body is not complaining, it is time to feel blessed. 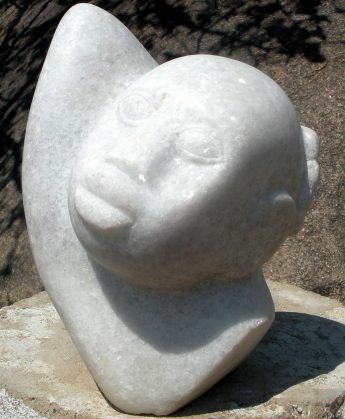 Grey limestone is not a commonly used medium in Shona sculpture. This is slightly surprising as it is found not far from Harare. 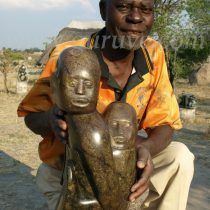 Perhaps its hardness puts off less experienced sculptors, but Sylvester is not afraid! 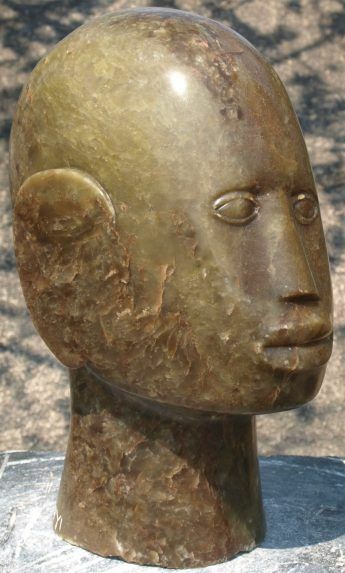 This lovely small sculpture from one of the great names in Zimbabwean sculpture is a super entry-level collectors’ piece.